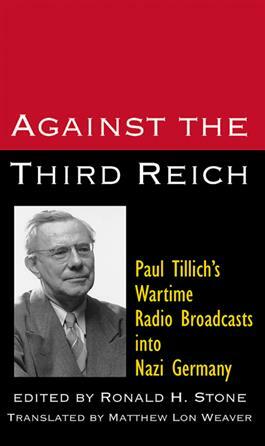 Paul Tillich, one of the greatest Protestant theologians of modern times, wrote more than one hundred radio addresses that were braodcast into Nazi Germany from March 1942 through May 1944. The broadcasts were passionate and political--urging Germans to recognize the horror of Hitler and to reject a morally and spiritually bankrupt government. Laregly unknown in the United States, the broadcasts have been translated into English for the first time, and approximately half of them are presented in this book.